It is a type of clay found in volcanic ash. When it was first discovered, researchers weren’t familiar with its remarkable properties and this clay was just like any other clay. However, a research conducted in 1961 changed the view of people, in which the researchers found out the different uses of this clay such as the absorption of toxins and transporting them out of the body. It takes away all the toxins present in the body and also provides the body with some important minerals as it affects the body’s pH. This type of bentonite has sodium in its crystal framework and is occasionally called Wyoming bentonite. It swells when wet and may expand as much as 15 times the original size when added to water. Due to its high clumping ability and absorbency, sodium bentonite is normally used as a sealant. It is a natural, non-toxic, safe and cheap treatment for porous soils. Lately, sodium bentonite has been researched as an absorbing agent to remove E. coli bacteria from food. It is also known as ‘living clay’, due to numerous cultural beliefs of its therapeutic potency. Geophagy or ‘earth eating’ is based on the belief that certain clays can be ingested to absorb or eliminate toxins. Calcium bentonite has been used for many centuries both externally and internally as a medicine. In modern times, calcium bentonite is used for toxin removal (both internal and external). Calcium bentonite only doubles in size when mixed with water. Also known as potash bentonite or K-bentonite, potassium bentonite is potassium-rich illitic clay formed from alteration of volcanic ash. Bentonite clay has been used for centuries, and research is catching up and investigating its long term use. As a detox tool, bentonite clay may be helpful for decreasing dietary and environmental toxins, supporting the immune system, and helping to remove fluoride from drinking water. Here are some of the researched benefits of bentonite clay. When combined with water and left to dry on the skin as a clay mask, the clay is able to bind to bacteria and toxins living on the surface of the skin and within pores to extract these from the pours. This helps to decrease the outbreak of blemishes, alleviate redness, and also to fight allergic reactions from irritating lotions or face washes, and even helps help poison ivy. Bentonite clay helps neutralize harmful bacteria, which can make digestive problems if left unchecked. Believe it or not, antacid compounds found in clays are common ingredients in anti-nausea medicines. Studies in mammals have found Bentonite clay to be very effective at absorbing rotaviruses and coronaviruses. These viruses are the leading contributors of gastrointestinal problems (e.g., nausea and diarrhea) within the young animals of various mammalian species. Mouth is one of the most susceptible areas of the body when it comes to harmful outside “invaders” taking over, like bacteria and toxins. Bentonite clay binds to unhealthy substances in the mouth, such as around the teeth and on the tongue and gums, and helps to remove them before you swallow them and become sick. Because of Bentonite antibacterial properties, it has been used in natural toothpastes and even mixed with water and used as a daily rinse. Bentonite clay can be made into something known as “poultice”, which is relatively beneficial for protection against bug bites. It can also protect the body against burns and rashes. Moreover, it is supportive against some plants like poison oak and poison ivy. Urishol is a chemical normally found in the plants which causes skin irritation. Bentonite clay protects the body against this chemical. Today, the foods that people consume result in acidic reactions in the body. This increases the body’s acidic level beyond the normal ones. Bentonite clay helps fight this acidity and restore the preferred pH. You can mix a teaspoonful of the clay in a glass of water for a relieving effect. In fact, consumption of the clay not only alkalizes the body but also helps fight nausea and constipation. Bentonite clay can be used to any area on the skin of babies that is irritated, red or needs soothing in the same way that traditional powders are used. Plus, it is very gentle and naturally cleansing. You can use the hypoallergenic clay externally to heal skin issues like acne, eczema, psoriasis, and dermatitis. It helps to heal rashes and wounds. By combining the clay with a little water it will create a thick paste. Rubbing that paste onto your skin will pull any harmful toxins right out of your pores. These toxins are what cause outbreaks and redness. Since bentonite clay has antibacterial properties, it can also heal poison ivy and relieve chicken pox symptoms. This might sound abnormal, but you can make an affordable and effective diaper ointment for a baby’s sore bottom when they are suffering the ravages of a painful diaper rash. Take some clay and mix it with water, then apply it to the baby’s clean bum. Allow it to dry before diapering again. Over the course of the day, as you change further diapers and clean the baby’s bottom, the mask will be removed. You can apply this twice a day until the rash calms down. Clay powder can also be used as an effective baby powder instead of talc. Lightly sprinkle some clay onto your baby’s bottom after cleaning and before diapering. Again, if you’re unsure about using any of this on your baby, check with your doctor first. Mix clay and water until it has a paste-like consistency, and apply it to the burn or cut. Wrap it in plastic wrap or wet gauze after applying to keep the paste from drying. Change the bandages and paste every two hours as needed. Applying a bentonite clay mask to your hair is a quick and easy way to get healthier, shinier strands. Just mix an herbal tea of your choice, with apple cider vinegar, clay and your favorite essential oil (or coconut oil) and apply the mixture to wet hair. Let it sit for a while (5-20 minutes) without letting it dry. If you tend to get puffy around the eyes, bentonite clay can help by encouraging your body to drain the excess fluid hiding beneath the surface of your skin. Just moisten the area under your eyes and apply a thick layer of bentonite clay. Let it sit for 20 minutes, and then wash it off. If your puffy eyes are a chronic problem, you can do this a few times a week. You’ll be shocked how much more refreshed and rejuvenated you’ll look. Bentonite Clay is used as an important element in manufacturing colon cleanses products. 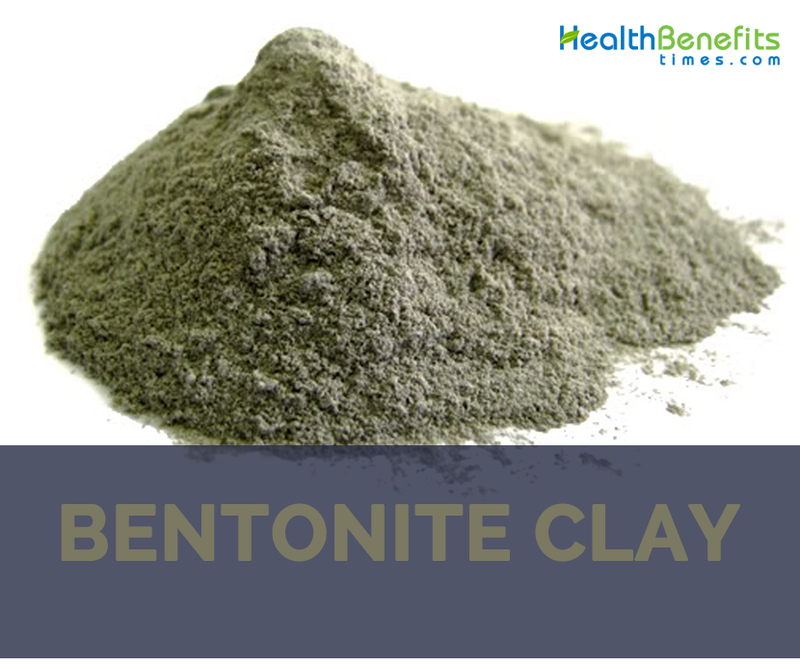 Bentonite Clay cleanses the liver, colon and skin naturally and effectively. When the colon is cleansed properly, a person will not suffer from constipation and diarrhea. Best way to cleanse the colon through Bentonite Clay is to drink it with water when your stomach is empty. This will promote healthy digestion of nutrients in the body. Switching to an all-natural deodorant can cause additional odor problems at first, and bentonite clay can help. For most people, the odor is from the body purging unnatural ingredients found in traditional deodorants. Even after the adjustment period, odor may still occur. Bentonite clay can help draw out the odor-causing toxins. To create an armpit detox mask, mix 1 tablespoon of bentonite clay with 1 teaspoon of apple cider vinegar until the consistency is smooth and thick. Apply a generous layer to your armpits and let the clay dry. Wash it off with warm water and a washcloth. Repeat this process weekly or as needed and say goodbye to armpit odor for good. By adding bentonite clay to your bath, you can improve circulation as well as remove toxins through the skin. Bentonite clay is totally safe as it cannot be absorbed or used by the body. Improved circulation can help to improve many skin conditions, and many state that bathing with bentonite clay helps them feel more relaxed. Too much oil on the skin, abnormal shedding of dead skin cells and extra bacteria generally results in acne. You may also be prone to outbreaks if you take certain medication, produce too much sebum or have a family history of acne. Blackheads or whiteheads are produced due to an excess of sebum, which cause blocks within the hair follicles on the skin. Oily skin with too much sebum encourages the production of bacteria which irritates the skin. This can result in acne. Bentonite clay has a very strong negative electrical charge. Since many toxins have a positive charge, the clay bonds to them. When it comes in contact with a toxin, heavy metal, chemical, or other impurity, the clay will gobble up the toxin and release its minerals for the body to use. Additionally, Bentonite clay also pulls hydrogen from cells, allowing room for oxygen. This helps with circulation, and overall skin tone and health. Bentonite clay is loaded with silica, a trace mineral that fortifies connective tissue including muscles, tendons, ligaments, cartilage and bone. In addition, it makes your skin super soft. Silica is the most abundant mineral in the earth’s crust and is the name for the chemical compound silicon dioxide. Glass, quartz, and sand are all comprised of oxygen and silicon. Using bentonite clay on your skin means you reap all of its benefits as it is readily absorbed. 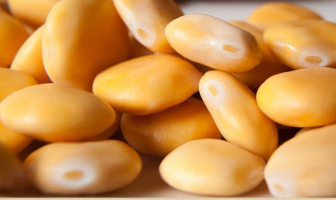 If you want more of its benefits, consume foods high in this mineral including garbanzo beans, cucumbers, mangos, asparagus, leeks, green beans, strawberries, and celery. Bentonite clay helps to conditions and nourishes skin by removing the dead cells and also removing the extra oils and impurities from the surface of the skin. For a “glow” you should apply the clay mask regularly. Exfoliating is a very important part of any skincare regime. It not only eliminates dead cells but also unclogs the dirt and oil in your pores that can cause breakouts. Although you can find many exfoliating products in the store, they often contain harsh ingredients. These ingredients include plastics, irritating fragrances, glycerin, parabens, phthalates and other questionable substances. To make a powerful and natural exfoliating scrub, just mix the bentonite clay with a little apple cider vinegar and make a thick paste. Rub the paste in a circular motion over your face and neck and rinse with warm water. For additional exfoliating power, add a teaspoon of coffee grounds. Follow up exfoliation with a light layer of moisturizing coconut oil. Bentonite clay can be used to rebuild damaged skin tissue. Activated bentonite clay assists in healing and regenerating skin tissue. The clay also helps to rejuvenate skin naturally and decrease fine lines and wrinkles while fighting bacteria and infection. For bites, stings and burns make a poultice using a thick layer of clay on your skin covered with a wet gauze cloth. Leave the cloth on the affected area for about 2 hours and change it out until you experience relief. During one’s childhood, one has nearly perfect skin with an even tone. But as the time passes, skin damages from common problems such as sun exposure, discoloration of the skin and acne breakouts with most of us ends up with uneven skin tone and skin discoloration on your face. Although it is not possible to completely recover the baby like skin, by applying bentonite clay on the face you can get a younger look and improve your skin texture and tone. Dead skin cells, developed over time on the skin surface, give your skin an uneven tone and aged look. By exfoliating your skin you can remove such dead skin cells so that newer, younger skin can grow through to give your skin complexion a refreshed appearance. When selecting which clay to buy for internal use, look for food-grade calcium bentonite clay (This should not be confused for sodium bentonite clay, which should only be used externally). Your clay should be gray/tan/green in color, soft to the touch, and odorless. If the clay is white and coarse then don’t use it. Chances are if you see white powdered clay then it’s not truly bentonite clay. Once you have the right type of clay, add 1 teaspoon to 8 ounces of water or fresh (not processed) juice. Make sure the clay completely dissolved into the liquid before you drink it. Whatever you do, don’t let the clay touch anything metal. Use either a plastic or glass cup to drink from. Also, use a plastic spoon to stir. If the clay comes into contact with metal it will be stripped of its powerful detoxing abilities. To reap the most benefits, drink your bentonite clay/water mixture on an empty stomach. Also, don’t consume bentonite clay within two hours of taking any other vitamins/supplements. When selecting which clay to buy for external use, look for sodium bentonite clay. This type of clay is higher in sodium and is not suitable for consumption. However, it’s great for clay masks and detox baths. Just like calcium bentonite clay, sodium bentonite clay should be gray/tan/green in color, soft to the touch, and odorless. Again, if the clay is white and coarse then chances are it’s not true bentonite clay. The most common side effect of consuming bentonite clay is constipation. That’s because the clay pulls water from your colon as it passes through the intestines. For this reason, whenever you ingest bentonite clay, make sure to stay hydrated. When you first introduce bentonite clay into your diet, you may experience some detox symptoms such as headaches. Listen to your body. If your body is experiencing detox symptoms, try cutting your “dose” in half. Of course, while bentonite clay is considered a hypoallergenic substance, it’s always best to consult with your doctor before using it internally.